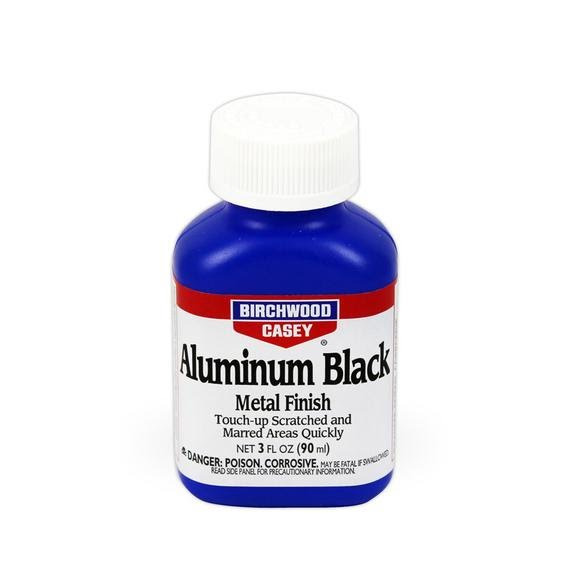 Birchwood Casey offers this room temperature chemical used by gunsmiths and industry to blacken aluminum parts. Restores scratched and marred areas quickly. Fast-acting liquid is easy to apply with no dimensional change. Color will vary from deep gray to black depending on alloy. Aluminum Black Metal Finish is also excellent for blackening name plates, plaques, trophies and other engraved items.